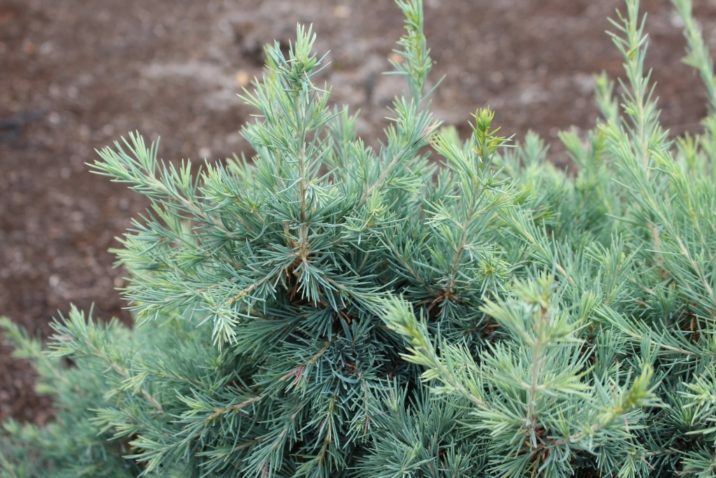 Cedrus deodara 'Pygmaea' is a very slow-growing, miniature to dwarf selection of Himalayan cedar with short, congested branches and radiating, steel-Blue foliage presenting a pin-cushion effect. New growth in spring is green changing to Blue as the season progresses. Needles are shorter than those typical of this species. After 10 years of growth, a mature specimen will measure 12 inches (30 cm) tall and wide, an annual growth rate of around 1 inch (2.5 cm). This cultivar originated as a seedling selected around 1943 by James E. Noble, who gave it, posthumously and unnamed in 1958, to William Gotelli. 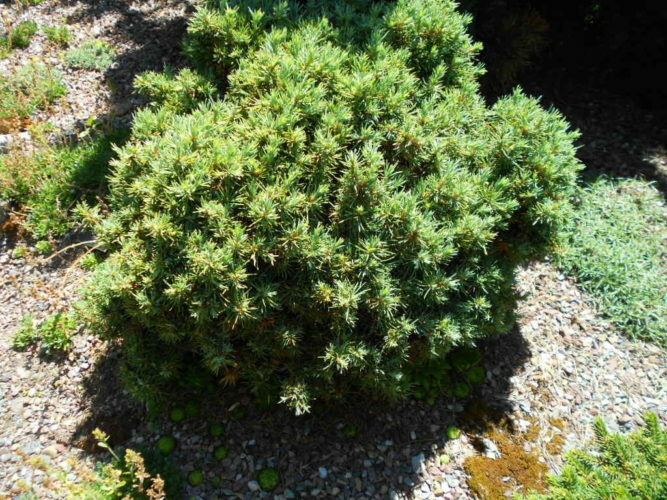 who named it and began distributing it around the conifer trade. 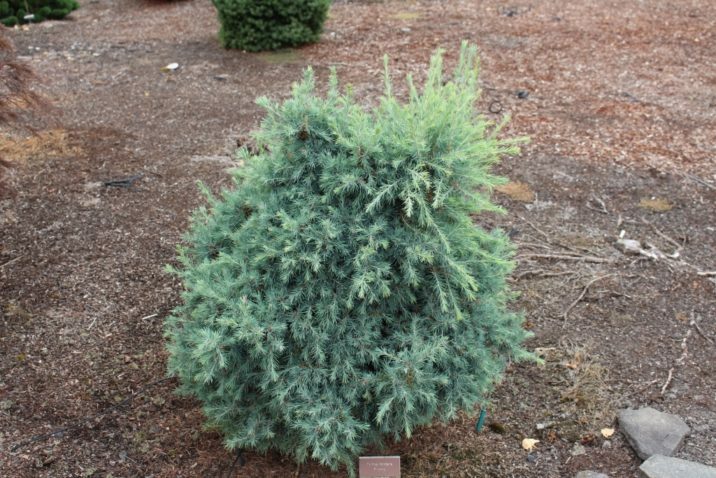 This very slow-growing cultivar of Himalayan cedar would be an excellent choice for the rock garden or trough garden because it would take a very long time for it to outgrow its given space in the garden. Cedrus deodara 'Pygmaea' A nice older specimen living on the grounds of the Coenosium Rock Garden at South Seattle Community College, WA. This plant is probably about 15 years old and only the size of a basketball. Cedrus deodara 'Pygmaea' — a closeup of foliage detail. Cedrus deodara 'Pygmaea' — an excellent, healthy specimen at the Flora Wonder Arboretum, Gaston, Oregon.